Here is the trailer for Porubsky’s – Transcendent Deli, a film in which Porubsky documents the history behind his family's Deli and Tavern located in the Little Russia neighborhood of North Topeka. You can view the documentary on YouTube. And I still have your key. It’s rusted some at the teeth. without thinking, as it was sinking. It was like that time last summer. in line with all the others. twistings of grooves and pins. Now it is quiet as rust. It smells like lake water. more tummy reflected in the mirror. exact, line to line, where head and feet land. white barnacles marrowed and intricate. of its red skin, so smoothly delicate. through the silent black water. my skin can taste you. to float with me in between. sounding like water drips down a drain. orange lamplight mixed with midnight. loose on a tight rope. I whistle in the breeze. Porubsky read a poem he wrote in response to Governor Sam Brownback's efforts to eliminate funding for the Kansas Arts Commission. About the poem and the Governor's efforts, Porubsky said: I wrote this poem,"Our Dream Union," on request from Keith Walberg and the producers at Gizmo Pictures. The poem and visuals were presented to help bring attention to Governor Brownback’s attack on the Kansas Arts Commission(KAC.) The Governor was successful in his abolishment of the KAC and the funding it provided to numerous artists and communities in the state of Kansas. Even so, this is still an incredible visual piece and I am proud to have participated. Q: How has your Kansas upbringing influenced your writing? A: In voice and content, so basically in every way. From early on, I wanted to write poetry more for those who don’t usually read poetry. Growing up, not many of my friends and family read poetry, so when I began writing, I strived to stay true to a voice I heard in my head: A voice that is able to speak to a railroader or butcher as well as a professor or professional writer. I have always heard folks around here say many things similar to, “I don’t get poetry, so I don’t read it.” I don’t necessarily want to change their minds, but I want them to think twice about checking out a book of poetry or attending a reading. I want the poetry that I bring to people to be a surprise. Q: Are you influenced by any other Kansas authors? A: The poetry I read most is the work of friends I have made in the community of Kansas writers. 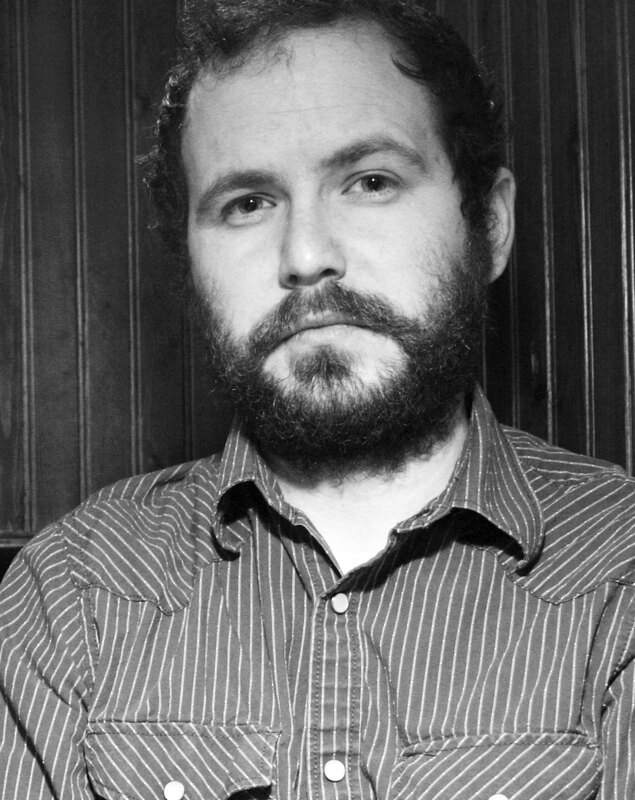 When I began writing poetry, I was lucky to meet Brian Daldorph, editor of Coal City Review, and he has been a tremendous influence and supportive friend. He introduced me to writers like Amy Fleury, Denise Low, Kevin Rabas and many others. I discover volumes through experiencing Kansas writers. The writers who I am learning from the most right now are Thomas Fox Averill, who constantly shows me new dimensions of voice and culture, and Leah Sewell, facilitator of the Topeka Writers Workshop, who always surprises me with a new resonance to the Midwestern experience that can relate beyond any boundary. A: It started before I started writing, for sure. I admired musicals, movies and comic books and the variation of voices and perspectives that they supplied. I learned story and the use of characters through these arts. I think that is why I write so many persona poems; because of the concept that one person can write so many personalities beyond themselves. Q: You have worked with different mediums, including poetry and screenplays. How has using these two methods allowed you to express yourself differently as a writer? A: That is really connected to the last question. In a way, I don’t focus on expressing myself as much as I think about expressing others. I’m constantly thinking about audience and what would appeal to them. A lot of it has to do with the visuals, as well. In writing poems, it is a bit more of a challenge to set a scene compared to writing for screen. The screenplays I have written directly relate to how they will be interrupted by director, DP, etc. With poetry it is all up to me. I have to say that I enjoy the later if I were to compare them. Q: What do you hope readers will get from your writing? A: As much as I do. I do it for the reader as much as for me. Without a good and trusting relationship with them I am not doing my job. It is my responsibility to display confidence in each poem, each line. I know if they aren’t with me from the start, they won’t be around at the end. Q: Do you have a personal favorite among your published poems? A: I do, but it changes day by day. It’s like some days you are in the mood for different music. Some days, especially at readings, I read a poem that I haven’t gone back to in a while and feel renewed in its importance. There are several poems in Fire Mobile that have an intense importance to me, of course. I have to say I am quite proud of one of my longer poems, “Ruled by Pluto.” It’s hard to explain. It’s more of a feeling I experience while reading them. A: Change. I always want to be changing in style and content. 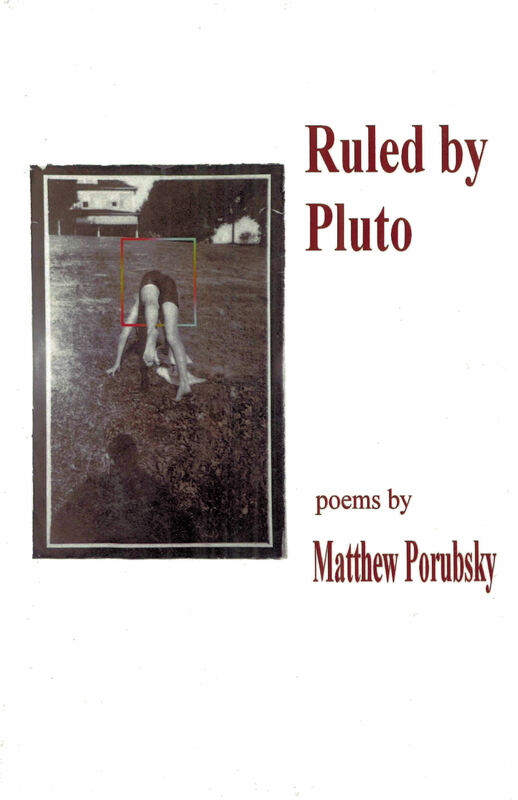 I have a third collection of poetry, Ruled by Pluto, that I am currently sending around. I have been pretty successful with the individual poems and hope I’ll get lucky when it comes to them as collection. 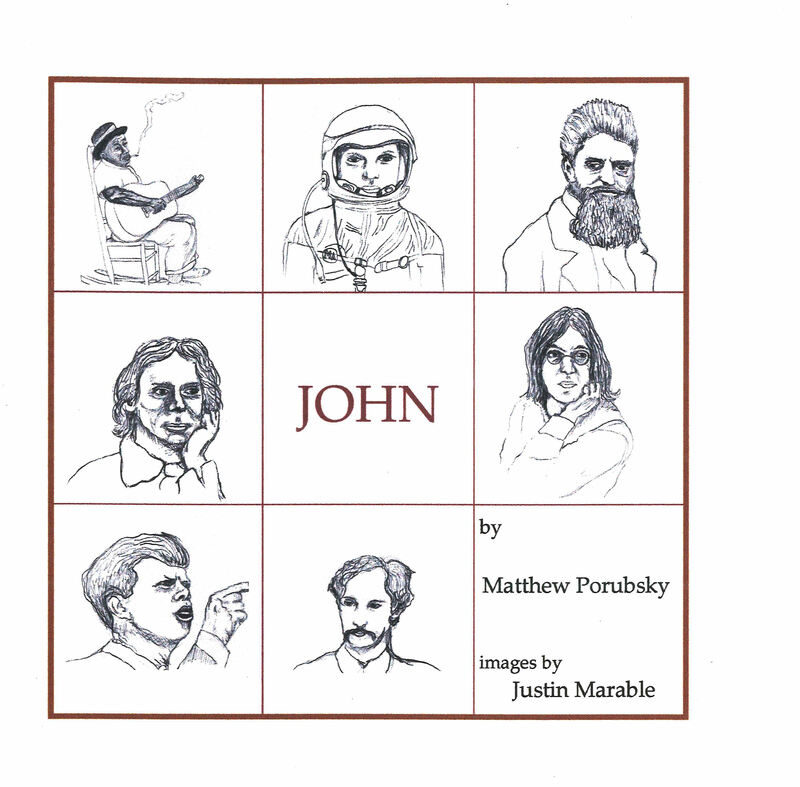 I also have a completed chapbook called John that I am currently submitting that are all about famous and notorious Johns. There are so many, but I have stopped around twenty-three poems. They are very short. I think people will like that; short poems about people they know. We’ll see. Then of course, there is the railroad manuscript. Talk to me about that in ten years.